The League 2 relegation dogfight features some predictable names such as Barnet, York, Wimbledon and Aldershot. Plymouth and Accrington Stanley are also less than surprising inclusions in the scrap. But as recently as early February any suggestion of Torquay being dragged into the mix would have been ridiculed. But the Devon club, who have featured in the last two League 2 play-offs, now find themselves just one place and one point above the drop zone. Last season they were just three points off automatic promotion to League 1, and two years ago they lost agonizingly to a John Mousinho stunner in the play-off final at Old Trafford. Until December they looked a decent bet to finish in the top 7 again this season, but things have taken a turn for the worse, and the Gulls have taken just one point from their last nine games. Torquay started the season with hopes of promotion, despite the sale of key players in the summer. Torquay’s first half of the season was steady but unspectacular, although they were unbeaten at home until an embarrassing defeat against non-league Harrogate, which many fans now see as the start of their slide down the table. Since their loss against the unfancied Yorkshiremen the Gulls have only registered one win at home. Ling’s mystery illness required his assistant, Shaun Taylor, to step into the role, but his four games in charge all ended in defeat. Former Bury and Scunthorpe manager, Alan Knill, took over four games ago, but three losses and a draw have taken the Gulls within spitting distance of the bottom two. Torquay were relegated out of the Football League for the first time in the club’s history in 2007, but returned two years later, which was a tremendous achievement in a competitive division. They don’t want to put themselves in the same position again, but with just one win since December 1 fans are extremely concerned. 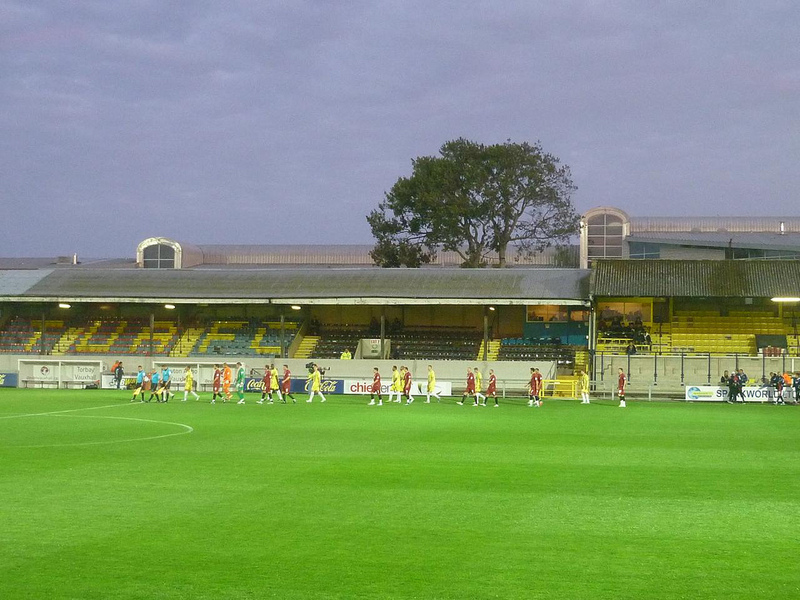 The atmosphere at Plainmoor has become increasingly tense and nervous, with frustration rebounding constantly between the crowd and the players. Their only win in 2013 was the televised derby away at Exeter, which ended in a 1-0 win, but even then they were extremely lucky and Torquay could count themselves lucky the Grecians had left their shooting boots at home. Despite having an adequate squad to stay up, Torquay look disorganized at the back. They’re leaking sloppy goals, and look bereft of self-belief at the back. To add to their defensive worries, hefty striker Rene Howe has hit a dry spell, and hasn’t netted in his last eight games, which is extremely unusual for the goal-machine and extremely worrying for his club, who have been dependent upon him for goals in recent seasons. Torquay’s collapse is remarkable, and the club seems to have become a trembling mess overnight. But as Alan Knill himself pointed out, in League 2 a losing run can turn into a winning run astoundingly quickly. But with just 10 games remaining, the Gulls form has to turn around quickly or they could find themselves in deep trouble, without enough time to save themselves. This entry was posted in Football, League 2 and tagged Alan Knill, Blue Square Premier, Conference, Devon, disease, Exeter, Gulls, Martin Ling, Plainmoor, relegated, relegation, Rene Howe, Torquay, Torquay United on March 11, 2013 by gutollewelyn. Football tourism has exploded in recent years across the globe as more and more people decide to combine football with their holidays. Last year 4% of visitors to the UK watched a football game while in the country, and Brits are regularly hopping on planes for footballing weekends on the continent. Barcelona, Amsterdam and Munich are all very popular due to the good beer, delicious cuisine, fabulous sights and of course, the entertaining football. But many English football tourists don’t leave their homeland, choosing instead to take weekend breaks in England. There are plenty of fascinating and intriguing cities which are perfect for a relaxing weekend away, but which also offer a fantastic matchday. If you want a bit more out of your matchday than just a long journey and 90 minutes of football, here are a few suggestions of great matchdays in the Football League. These places offer football with extras; sights, culture and nightlife. So, where are the best matchdays in the Football League for away fans? Situated to the north of the Lake District and just ten miles from the Scottish border, Carlisle is probably the Football League’s most remote outpost. Carlisle is a beautiful little city, surrounded by picturesque countryside. Brunton Park is on the outskirts of Carlisle, but there are a few good pubs around the ground. You can also walk fifteen minutes along Warwick Road into the city centre where there is an abundance of pubs and plenty to see. The city centre has attractions such as Carlisle Castle, the Cathedral and the Citadel, but just walking around the quaint streets of this medieval city is a pleasant experience. Carlisle’s Tudor revival architecture is very impressive, and you’ll find many small shops and cafés if pubs aren’t your scene. And if you want a bit more peace and quiet, Cumbria has some of the most beautiful scenery in England. Head off for a hike or even a scenic drive around its spectacular hills and lakes. Carlisle fans are notoriously friendly, and are usually very talkative. Carlisle’s the perfect away day for the start or the end of the football season, when the sun’s shining. York’s return to the Football League was greeted joyfully by League 2 fans who knew what a great matchday it can be. Bootham Crescent, York City’s home ground, is less than a 15 minute walk from York’s main sights and the bustling city centre. York is one of England’s oldest cities, and also one of the most beautiful. It has several historic sights worth visiting such as York Minster, York Castle and the city walls. With nearly 2,000 years of history, it’s not surprising York has a plethora of museums, the best of which is probably the Jorvik Viking Centre. The city may seem too cultured for football supporters, but don’t worry, there are plenty of places to drink. There are a few pubs near the ground, all of which accept away fans, and the nightlife in the city centre is highly recommended. York City fans are generally very pleasant, therefore visiting supporters never feel threatened, and can converse easily with the locals. Cardiff has been transformed in recent years into a modern European capital city, with plenty to see and do, other than watch the football. The Cardiff City Stadium is located in the Canton area of Cardiff, which admittedly isn’t a great advert for the Welsh capital. Other than the newly erected shopping centre near the stadium, there’s very little for away fans to do, as none of the nearby pubs allow travelling supporters. This is due to Cardiff fans’ reputation for violence and antagonism, and though the club has taken great strides in recent years to eliminate hooliganism from the club, Cardiff fans remain generally less welcoming than most Football League fans. The best way to see Cardiff on an away day is to arrive in the city centre and travel to the game by train after a bit of sightseeing. 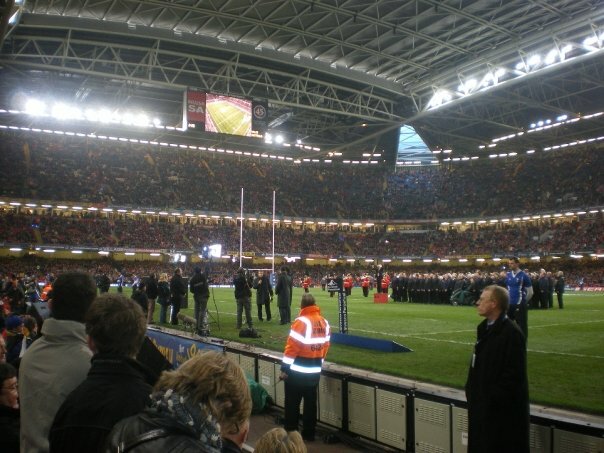 Milennium stadium tours are very entertaining, while Cardiff on a rugby day is an experience. Cardiff city centre is packed with good pubs, great shopping and some brilliant sights. The Millennium Stadium tour is a great use of a spare hour, and Cardiff Castle is an extremely impressive structure. Since Welsh devolution in 1999, a fortune has been spent making Cardiff attractive to tourists. Cardiff Bay used to be an industrial wasteland, however the new Senedd (Welsh for parliament), the Millennium Centre and the array of new bars and restaurants, have made it a glamorous honey pot. If you’re lucky enough to have an away game in Cardiff on the same day as rugby international, a night out with the boozy egg-chasers is recommended. The Football League’s most Southerly and Westerly club, Plymouth Argyle, offers a brilliant away weekend, which caters to football fans of all tastes. Plymouth is a naval city, and as such has a wide variety of drinking establishments. The Barbican is the perfect place to spend a hot afternoon, with plenty of pubs offering great food and drink, while North Hills is ideal for student nights out. Near the stadium, the Britannia is the most popular place for away fans to congregate. Home Park is a strange ground, with three modern stands and a single, classic stand running along the touchline. The Green Army are very proud of their club, and fans enjoy discussing football with visitors. If you want to chill out (or nurse a hangover) on a Sunday, the Hoe is a fine place to sit and relax. But if the weather permits, why not head to a local beach? The coastline around Plymouth is dotted with quiet, picturesque, sandy beaches where you can lay down for a bit or sample the surf. And if you don’t fancy watching Plymouth play, you could always jump on the ferry and head off to watch lower league football in Spain. There are ferries travelling from Plymouth to Santander, where Racing are struggling in the Segunda after last year’s relegation from La Liga. Only 300 yards separate the Football League’s two closest grounds, and the city of Nottingham provides a great football weekend. Though Meadow Lane and the City Ground are around a 25 minute walk from the city centre, there’s plenty to excite fans in the area around the two stadia. There are pubs and food outlets around the grounds, and the Nottingham clubs are the only ones in Britain with a nearby Hooters, where fans can enjoy good food and drink, surrounded by skimpily-dressed waitresses. The grounds themselves have been modernised over the years, and fans of both sides are generally friendly. Nottingham’s city centre isn’t the prettiest, but it has an instantly recognisable statue of Robin Hood, paying tribute to the area’s most famous figure. There’s also now a statue to the city’s most celebrated adopted inhabitant, the late great Brian Clough, who led Forest to two European Cups. The Ye Olde Trip to Jerusalem, established in 1189, is believed to be the “Oldest Inn in England,” and though this fact is disputed by some, what can’t be debated is that it’s a great historical sight, which also serves a good pint. 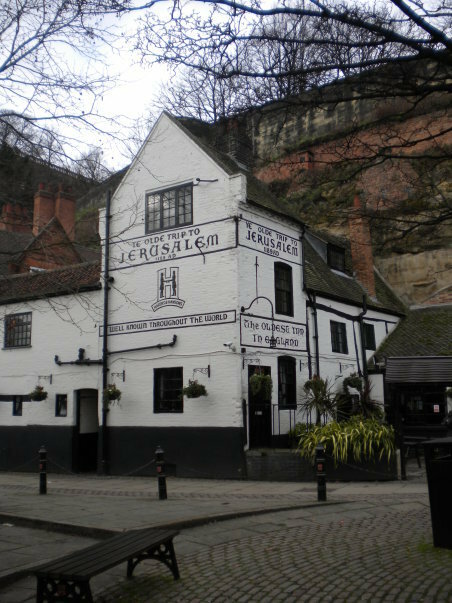 And if you want something a little rowdier than a medieval pub, Nottingham’s renowned nightlife should do the trick. With hundreds of bars and clubs, Nottingham has developed a reputation as one of the best nights out in the UK, so if your team has lost, there are plenty of places where you can forget about it. Many fans would argue the away trip to Shrewsbury has lost a bit of its shine since the club relocated from the quaint, Gay Meadow, near the town centre to the modern Greenhous Meadow stadium on the outskirts of Shrewsbury. But Shrewsbury still has plenty to offer visiting supporters. The town centre has impressively retained its charm, and the Tudor and Georgian architecture give the place real character. The castle towers over the rest of the town, and looks mightily impressive. There’s also the church of St Chad, which is the second largest domed church in the UK. Shrewsbury has a reputation for good shopping, with many people attracted to the town at Christmas time when the streets feel particularly atmospheric. There are a few pubs around the new stadium, although fans also have the option of drinking in the town centre before catching a bus to the ground. Shrewsbury town centre has plenty of great pubs and restaurants, and is capable of being a good night out. The Football League has many seaside resorts which are worth visiting like Bournemouth, Brighton and Southend. But Blackpool is Britain’s number one seaside resort for a reason. Bloomfield Road itself is a short walk from the promenade and the beach, and the seaside is practically unavoidable for away fans, whether they’re there for a weekend, a day or simply a few hours. Only a 20 minute walk from the ground is the famous Pleasure Beach, with its fantastic selection of rides and amusements. It’s a brilliant attraction for kids and big kids alike. There’s also Blackpool Tower and the pier, which are both must-sees, and for younger supporters a donkey ride along the beach is essential. The ground itself has been modernised, but the away stand still looks rickety and hastily built compared to the rest of Bloomfield Road. Home fans tend to be very welcoming and pleasant. There are plenty of pubs around the ground which cater to all tastes, and there’s no need to travel far to look for somewhere to eat or drink. If you’re there for the weekend, Blackpool is full of pubs, bars and clubs, which guarantee an eventful night out. Although Blackpool is normally associated with the summer, it can be enjoyed in any conditions when there’s football on. Blackpool may seem tacky to some, but most see it for what it is: an old-school resort town, which promises a good time. This entry was posted in Football, League 1, League 2, The Championship and tagged alcohol, alcoholic, attractions, away, away day, beach, Blackpool, Blackpool Tower, booze, Bournemouth, brazil, brazilian, brian clough, Brighton, British, Brittany Ferries, Cardiff, Cardiff City, Carlisle, Carlisle United, castle, clubs, drink, England, English, entertaining, Exeter, fans, Football League, football tourism, friendly, fun, hoe, holiday, Holloway, hooligans, navy, nightlife, Nottingham, Nottingham Forest, Notts County, Oldest pub in britain, parking, Pleasure Beach, Plymouth, Plymouth argyle, police, Portsmouth, pubs, Racing Santander, robin hood, Santander, Scotland, Shrewsbury, Shrewsbury Town, Southend, statistics, student, supporters, Torquay, tourism, train, trip, Wales, weekend, Welsh, West Country, Ye Olde Trip to Jerusalem, York, York city, Yorkshire on January 15, 2013 by gutollewelyn.